If you are a graduating senior this semester and are feeling confused about the process, you are not alone. For many seniors, failing to graduate would mean forfeiting a job. “I have a job lined up, and if I didn’t have everything lined up for graduation and couldn’t graduate, I’d have to default that job,” Rallison said. Other students are uncertain about the application process or don’t know how to apply. Amidst the confusion, the good news is that resources are available to answer these questions. Michael Peery, degree audit coordinator from the Student Records and Registration office, gave tips for graduating seniors and students preparing to graduate. 1. Walking versus graduating: When a student walks during the graduation ceremony, that doesn’t mean the student has officially graduated, nor does it mean that he or she will have their name in the program. For example, if an elementary education major still has to complete student teaching, he or she can walk at graduation and will have their name printed in the program in a later semester after they have completed the student teaching requirement. The same applies to internships. 2. Apply early: By applying early and visiting the Academic Advising Center, students set themselves up for a smooth and successful graduation process. The Academic Advising Center is a helpful resource with access to student accounts. Learn more about how to apply with the graduation application checklist. 3. Get a cap and gown: For more peace of mind and a lower price, order your cap and gown early instead of buying them at Grad Fest. You can order yours through Herff Jones. 4. Know deadlines: Be aware of the deadlines leading up to graduation. 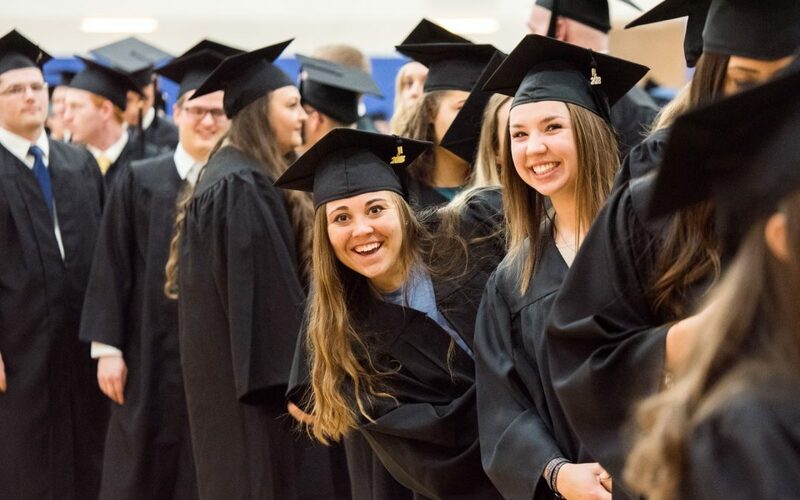 April 5 is the last day to apply for Winter Semester 2019 graduation and have your name in the program. Visit the deadlines and dates page for more information. 5. Use I-Plan: I–Plan is a resource available for all students that will make it clear to students when they will graduate and which classes they need to complete. For graduating seniors, there will be a pop-up reminding them to apply to graduate. 6. Check your email: Stay updated with what is going on. Have a question? Ask! 7. Know Graduation Requirements: It’s crucial to know the graduation requirements. “There are some basic things that we see a lot of issues with,” Peery said. Students need to know that they need a minimum of 120 credits to obtain a bachelor’s degree and 60 credits for an associate’s degree. Without meeting these requirements by the end of the semester they wish to graduate, they will not be able to do so. The graduation requirements also require a minimum GPA of 2.0. When it comes down to graduating, it’s all about being prepared and asking questions. The graduation website is an invaluable resource and can answer many questions. You can contact the graduation office at (208) 496-1027 or email them at graduation@byui.edu.